A show aired on the channel Showtime now includes a non-binary character. 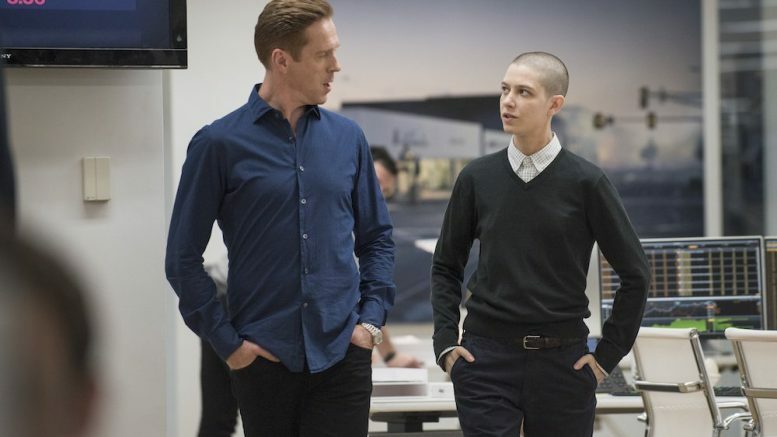 Taylor Mason, a character on the show Billions, is a gender-neutral character whose pronouns are they, theirs, and them. The actor that plays Taylor, Asia Kate Dillon, also identifies as non-binary. They are the first gender-neutral actor playing a gender-neutral character on television, and not only that, but their performance has put them up for an Emmy nomination submission. Showtime approached Asia and told them that they were going to submit them for an Emmy nomination. The channel asked Asia how they would like to be submitted, as an actor or an actress. Dillon was conflicted about how they would like to be entered, and so wrote a letter to the Emmys in order to sort out exactly what the two categories meant. The Emmys responded saying that any eligible performer may be entered in either category for any reason. Asia then decided to enter as an actor, as actor was a gender-neutral term for a majority of its existence until the creation of the word actress. This brings about an important question: How does gender and gendered words exclude some groups? An example of this can actually be found at Friends’ Central. Every year, awards are given out to eighth graders who have shown immense dedication and citizenship. Some awards were to be awarded to one girl and one boy. This is a problem, because it excludes any gender-neutral or gender nonconforming students from being technically eligible for the award. This year, our school faculty decided to contact the funders of this award and request that it be given to two students regardless of gender. Fortunately, it has been changed, and the awards are now free of gender restrictions! There are, of course, other ways that cisnormativity is applied. Saying “ladies and gentlemen” in order to address a crowd, rotating positions in an activity according to gender, or having top female and male athletic performers. Though there are not many non-binary athletes, there may always be one, and that person may feel as though they could not be a “top athlete” simply because they’re not included in the awards. We can always alter this level of inclusivity, however it brings up the question: Do we resort to complete gender-neutrality, or do we add a gender-neutral option on top of the gendered categories? This is a complicated question, because of equality in sports and such things. Sports teams, being separated, may find it difficult to compare the “men’s” teams to the “women’s” teams. Acting is a male-dominated profession. In fact, many things are male-dominated professions. There is essentially no occupation that is entirely equal in terms of gender, especially when considering the addition of gender-neutral employees. It’s not something that can be helped, but it is something to be considered. How do we, as a society, consider gender, in our daily lives? Gender is really a social construct at its core, but it exists nonetheless. Creating gender-neutral options in addition to male and female options is a good idea, because it creates a balance even in a profession or community dominated by a certain gender. However, in a community where gender is not as a big a factor as it is in a workplace, for example a school, it’s entirely optional to eliminate gender categories completely. In the end, it becomes a simple question of whether or not a person believes gender should be a factor at all.